Earlier, the White House announced that around 200 US soldiers would remain in Syria as a "peacekeeper group" for an undefined period of time following the pull-out of other US military forces. The US will keep around 200 troops at the al- Tanf base and around 200 more soldiers in north-eastern Syria the peacekeeping, an anonymous US administration official, quoted by Reuters, said. The 200 troops deployed in the northeast of the Arab Republic will be a part of a larger contingent, including the US' European allies. The latter's contribution will number around 800-1,500 soldiers. The official also noted that both the US and its European allies are still engaged in talks on the creation and participation in maintaining a safe zone in north-eastern Syria. 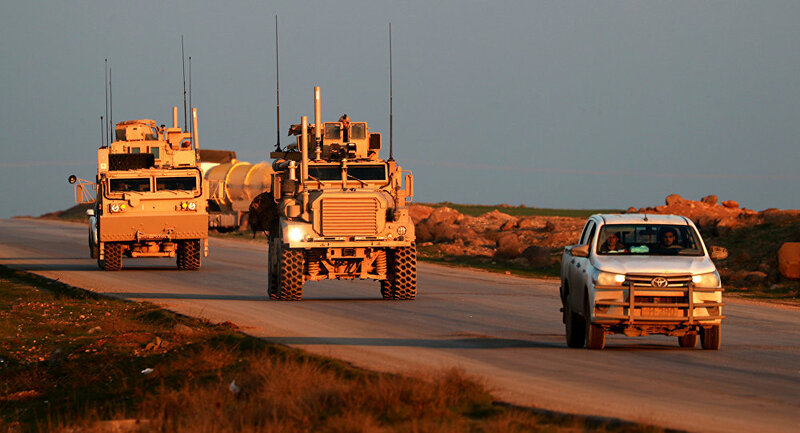 Earlier, White House Press Secretary Sarah Sanders said that a small "peacekeeping group" of about 200 soldiers will stay in Syria "for [a] period of time" after the US military withdrawal from the Arab state. US President Donald Trump announced the pull-out from Syria in December 2018, promising to bring around 3,000 American soldiers home. The reason for the move, according to him, was the defeat of the Daesh* terrorist group in the Arab Republic.